Last year I started making a list of every book I have read in my lifetime. I am sure I have missed a few, but I have put hours and hours into making this list, so I am pretty sure I have gotten most of them. You may be asking why I went to the trouble to compile such a list in the first place, and up until recently I don’t know that I could have given you a coherent answer, but I can now. As I sat reading through the list (there are currently 379 of them) I realized that a more succinct description of who I am as a person would be difficult to compile.To be sure, some of the books on the list were quite terrible The Land of Oz (sequel to The Wizard of Oz) by L. Frank Baum comes to mind. Others are utterly forgettable, such as Messenger, it is on my list, but I have absolutely no recollection of reading it. Some were entertaining, but didn’t change me in any meaningful way (The Twilight Series). But for the most part, as I peruse the list each book leaps off the page and provides useful shorthand for some critical way in which it shaped my thinking. I have selected ten books from the list to highlight. Selecting which ten to write about was an interesting exercise in itself. Certain books which I felt sure would make the list, like That Hideous Strength by C.S. Lewis and Atlas Shrugged by Ayn Rand, didn’t. I realized that I am attached to these books because they articulated something that I already strongly felt, rather than really changing my thinking. A couple surprised me because I wouldn’t have thought to include them, such as Landslide by Johnathan Darman. I don’t think about politics as a big part of my world, but it is a huge part of THE world, so Landslide makes the cut. This isn’t a list of the best books by any means, nor even of my favorite books, it is a list of the books that changed my thinking. As such I won’t be giving a deep synopsis of each title. I highly recommend all ten of them, and if you are curious you should read them, what I plan to do is show how they changed my worldview and then apply that to this crazy thing we call life. Finally, the point of this isn’t to give the authoritative view on anything. 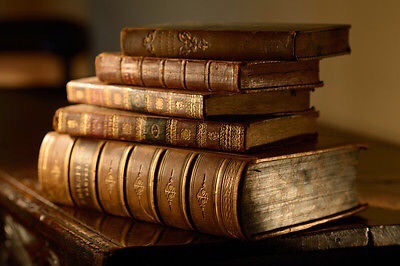 These books changed me, they might not change you. I would love to hear what books are a part of who you are and why. Hit up the comment section and weigh in. Let me know if any of these books affected you in similar or different ways. I will be taking one a week for the next ten weeks, so I hope to generate lots of discussion and, perhaps, find the next book that changes me. I haven’t read any of them. But a couple of tiles caught my attention. I might venture to the library and see if I can find them.